I love Washington D.C. and have found myself there many times for business over the years. 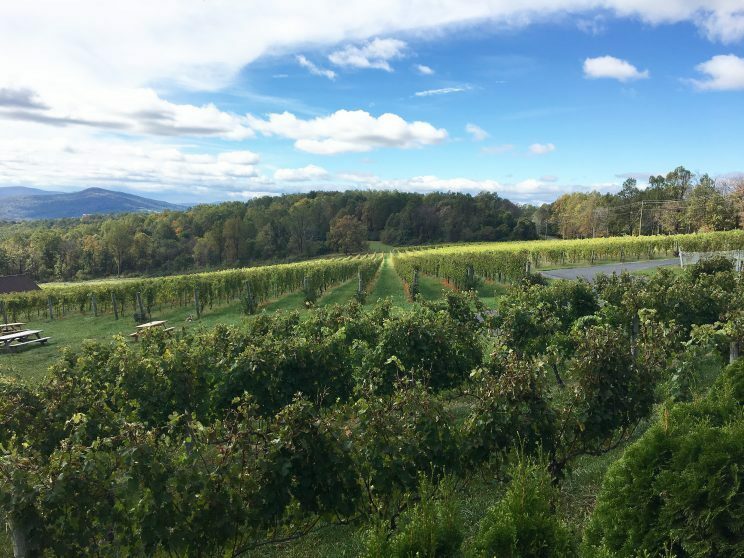 During all those trips, one thing I hadn’t done was to take a day trip to visit Virginia wineries near DC. 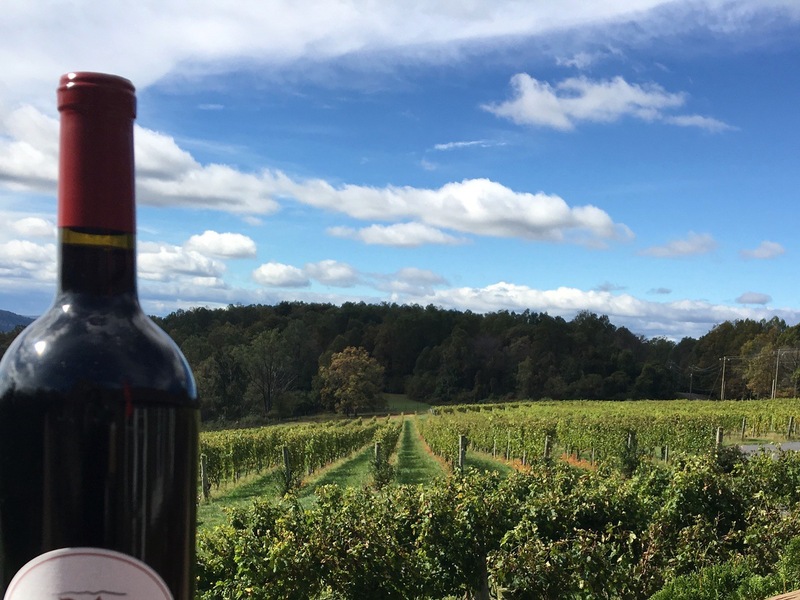 Virginia has produced wine since the colonial times and its oldest AVA, the Monticello AVA, known as the birthplace of the Virginia wine industry, was home to Thomas Jefferson. While the state has demarcated AVAs, it’s easier to search for wineries by the nine regions in which they’re located within the state (e.g. Northern Virginia, Central Virginia, Hampton Roads, etc.). 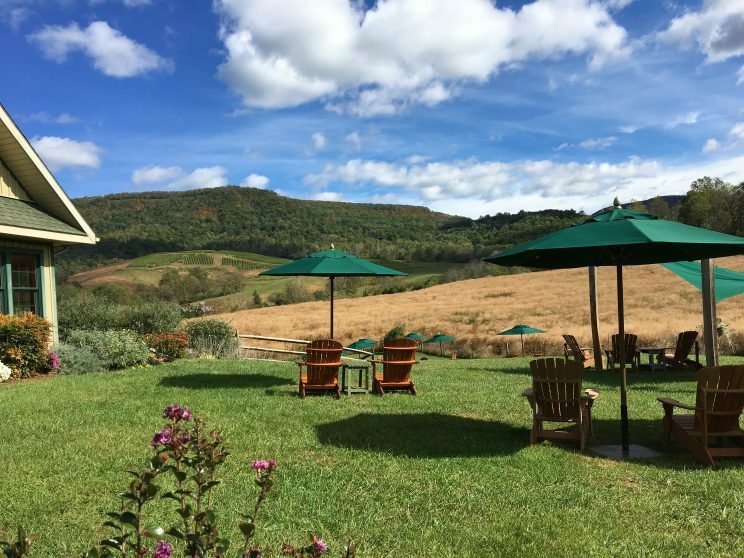 The folks at VirginiaWine.org do a great job of providing info on the state’s wineries and mapping out the various locations. A variety of grapes are produced in the state, but the top 5 are Viognier, Chardonnay, Vidal Blanc, Merlot, and Cabernet Franc. 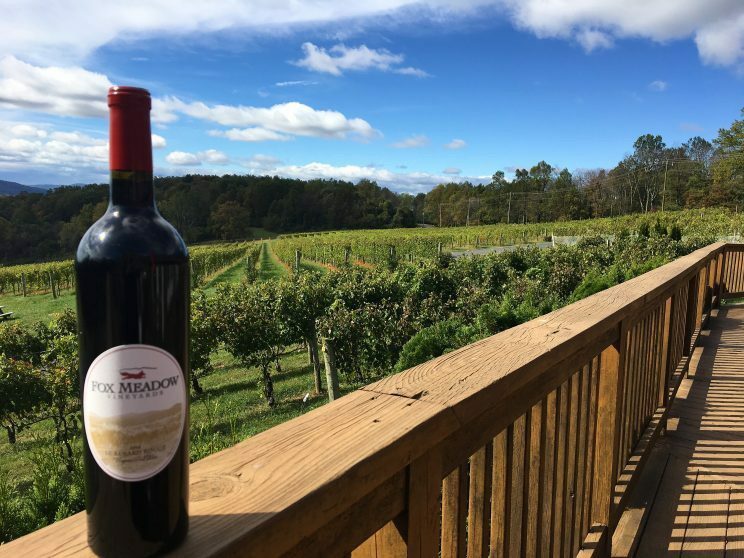 In addition to its red varietal wines, Virginia has perfected the Bordeaux Blend comprised of Cabernet Sauvignon, Merlot, Cab Franc, and Petit Verdot. 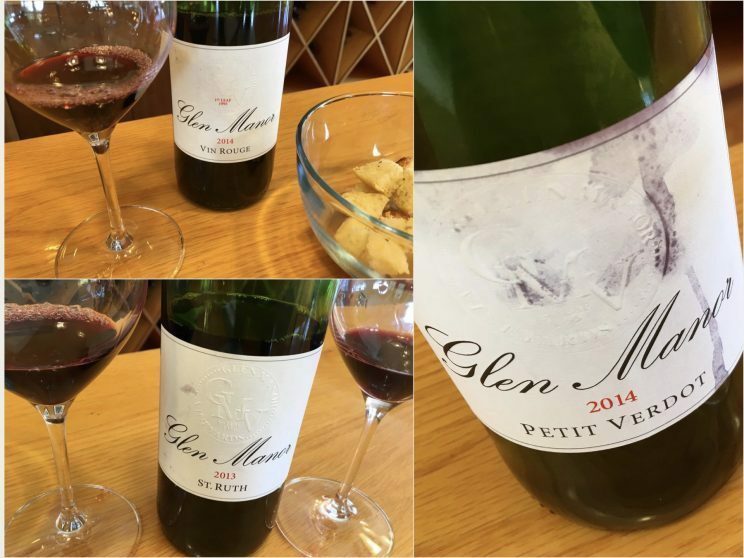 The production of Petit Verdot, which gives wines its rich color and is also known to resist fungus and rot (quite important in the humid, rainy, wet region), is on the rise and increasingly being made into a varietal wine. 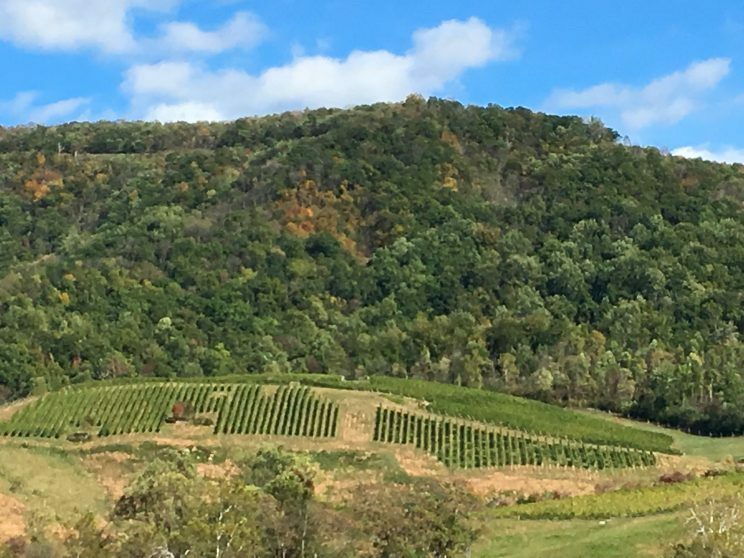 Since it can be difficult to ripen Cabernet Sauvignon in Virginia due to its climate, Petit Verdot can often step in and provide tannic structure and backbone. 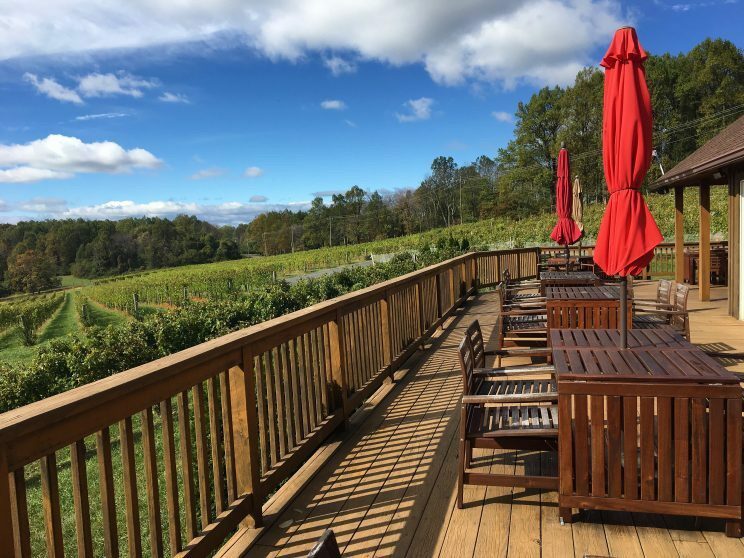 For a quick jaunt from D.C., the wineries in the Northern Virginia and the adjacent Shenandoah Valley – specifically, the wineries near the western I-66 corridor – provide easy access to the state’s wine industry. This is such a beautiful area with lush green forests, the Blue Ridge Mountains, and quaint small towns. If you can manage it, stay for two or three days, but a day trip will otherwise provide a nice introduction. 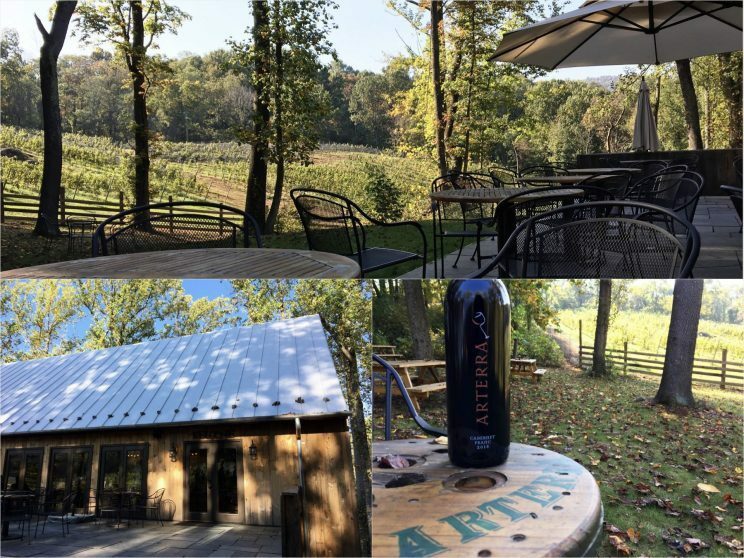 So, whether you’re in D.C. for the politics or the monuments, here are five must-visit wineries that should be on your list that you can get to in around an hour. Located in Delaplane VA this was my first stop and set the tone for all the great wine to come. 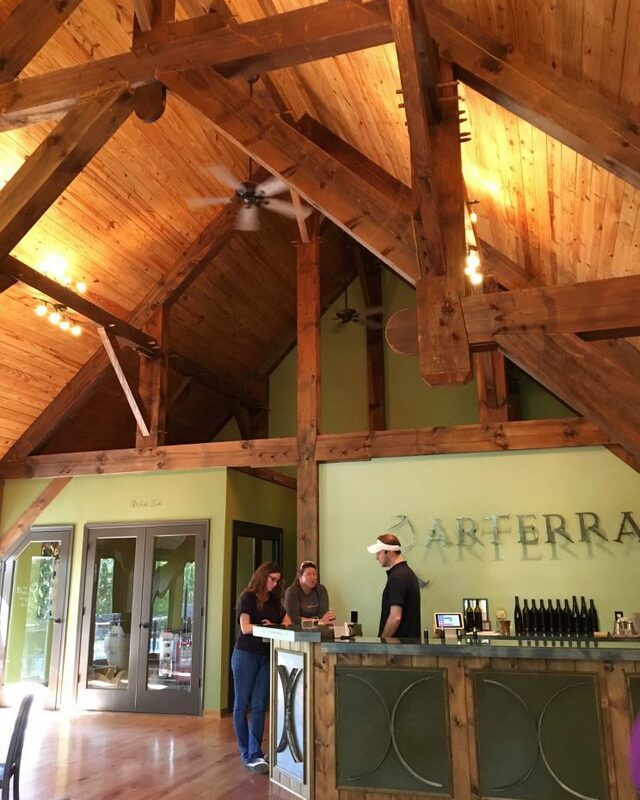 Arterra, which means “Art of the Land” is both winery and gallery. Winery owner Sandy Gray-Murray is also an artist and runs Hawkmoth Arts. So, while you’re getting your wine on, you can also enjoy (and shop for) Sandy’s beautiful art which encompasses a variety of media from ceramics to paintings to etched glass. Co-owner and winemaker (and husband to Sandy) Jason Murray is the ultimate terroirist and was an absolute joy to taste with. He is all about letting the land and the grapes do what they do with minimal intervention to craft authentic Virginia wine. I seriously got to get my geek on talking to him but he can certainly bring it down a notch when needed. He was just so laid back and so easy to talk to. Jason is committed to using Virginia fruit1 in his wines and only uses native yeast fermentation. These yeasts grow naturally on the grapes and produce distinct wines with a very different profile and mouthfeel that certainly reflect their terroir. These wines seem to have more depth, length, and width on the palate. I tasted Jason’s entire portfolio including Riesling, Chardonnay, Cabernet Franc, Petit Verdot, Tannat, a Bordeaux Blend and even a couple of desert wines. 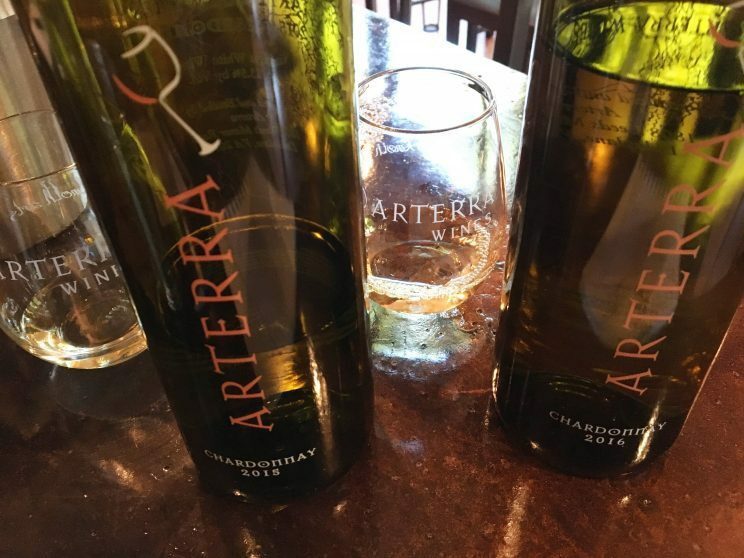 And for you Rosé fans, Arterra is adding a Rosé crafted with Malbec and Petit Verdot to its lineup soon. Here are a few standouts. The 2016 Chardonnay because I’m always surprised when I find one I like other than Chablis.2 The grapes are grown in a mix of coveted granite and greenstone soils, which gives the wines great minerality, depth of fruit flavor, and an added elegance. Jason’s Chard sees neutral French oak, is aged sur lie, and then goes back into steel. 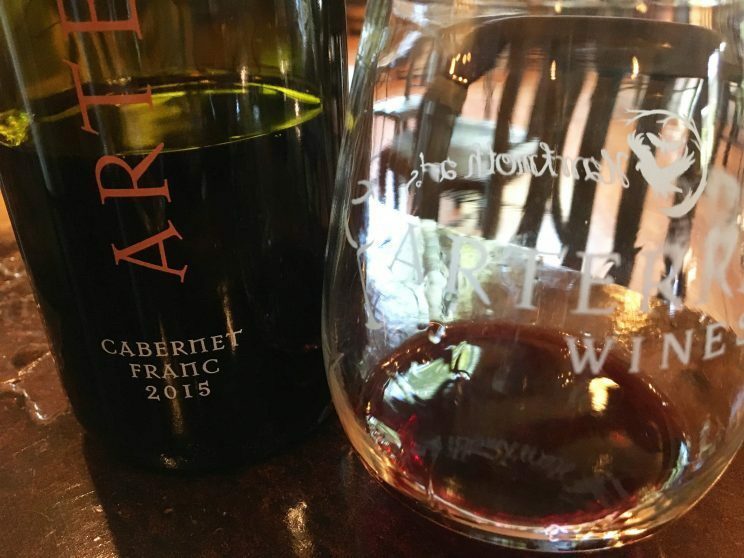 The 2015 Cabernet Franc because I generally LOVE Cab Franc and enthusiastically celebrate Cab Franc Day every year. Like the purist he is, Jason’s Cab Franc has no bleed off, no new oak, no additives, no fining…no, no, no. It sees 9 months of neutral oak before going back to stainless steel where it’s held before bottling. Medium bodied with a bit of funk in the glass, this was as wild as it was elegant. The 2015 Tannat, because since I “discovered” it in Uruguay all those years ago and then found it growing wonderfully in Texas, I’ve been hooked. I actually did a side by side comparative tasting of the 2015 and 2016 late harvest Tannat (so named as its picked very late when the grapes have started drying out on the vine). The 2015 Tannat was one of the more elegant Tannats I recall drinking. The 2016 late harvest Tannat, which is not produced every year, had some sweetness due to the concentrated fruit and was quite an experience to drink and exhibited an elegance I wasn’t expecting. Jason and Sandy are hands on in just about every way. In addition to their handcrafted art and wines, they built most of their winery (other than the framing) themselves. I think it turned out great! And if you want to linger, there are no shortage of fantastic outdoor seating areas. My second stop3 was to Blue Valley Vineyards. 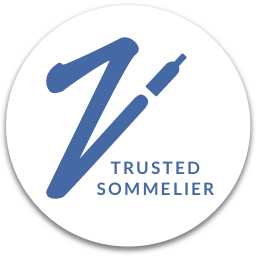 The winery is owned by the Zissios family of Greek heritage and it is in Greece where owner John Zissios first made wine with his father and grandfather. In fact, family tradition is at the root of everything they do. It was a pleasure learning about the family’s history of winemaking guided by three generations from owner Helen Zissios. 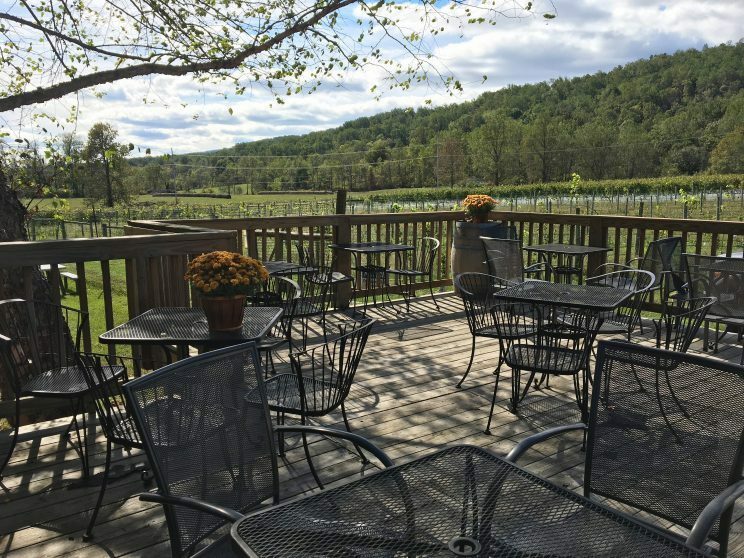 The winery, located in Delaplane, boasts stunning views of the Blue Ridge Mountains. You could certainly while away the hours on their outdoor patio. Inside, the views are just as spectacular. 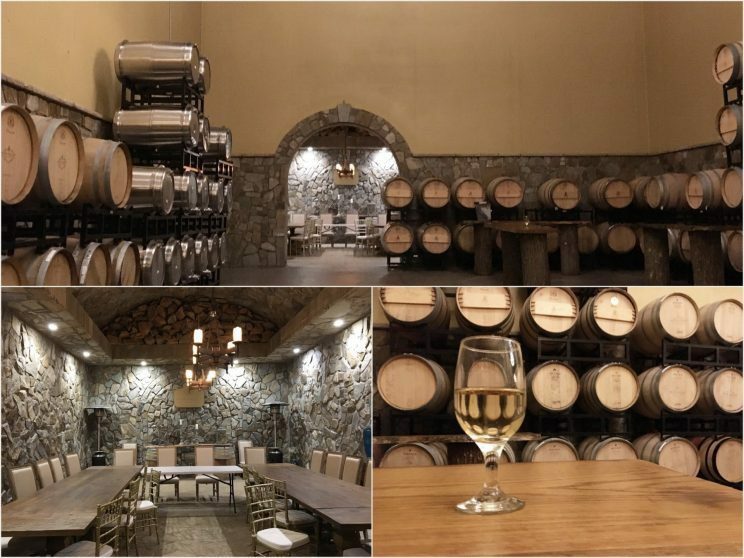 The cavernous tasting room is quite high-end and is often rented out for weddings and other social events. 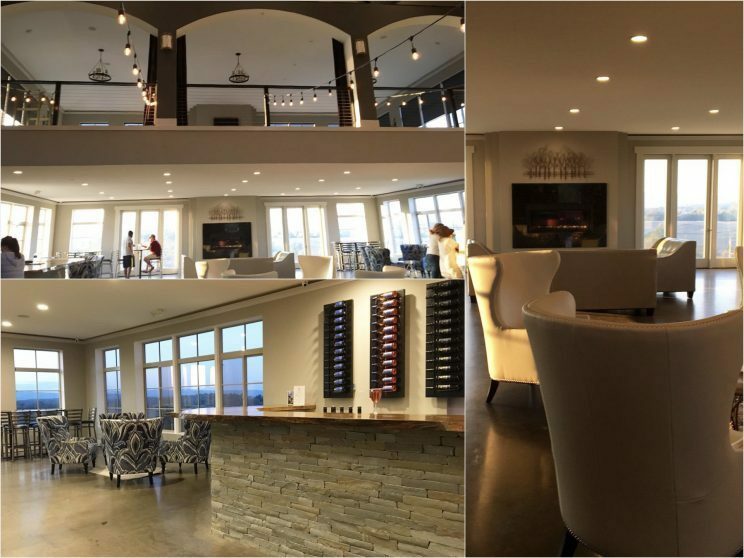 With multiple seating areas – some located near a cozy fireplace – there are no shortage of places to enjoy a sip of wine all while still taking in those great views. The impressive production facility encompasses 10,000 square feet and is where all the magic happens. Grapes are hand harvested and sorted by hand. French oak is the predominant choice (90%) with a small amount of American oak used. Wandering around for a tour, I found the impressive barrel room located two and a half stories below ground. 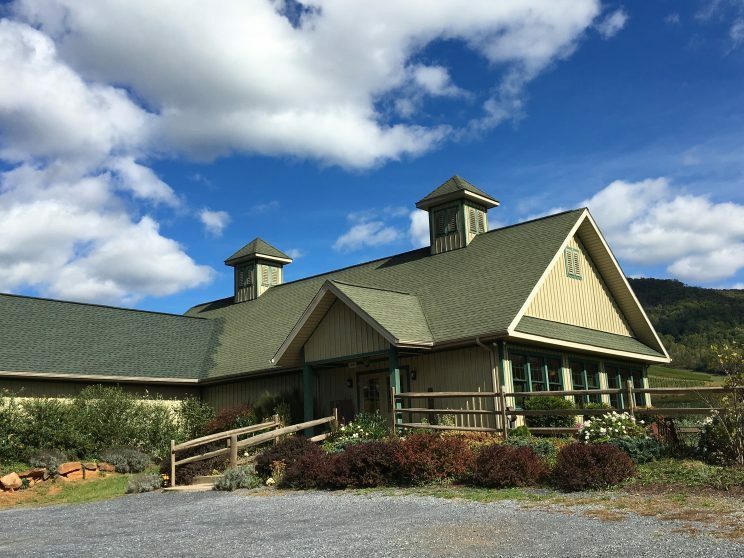 As its one of the newer kids on the block, the winery recently in 2015 began using primarily Virginia fruit in its wines. 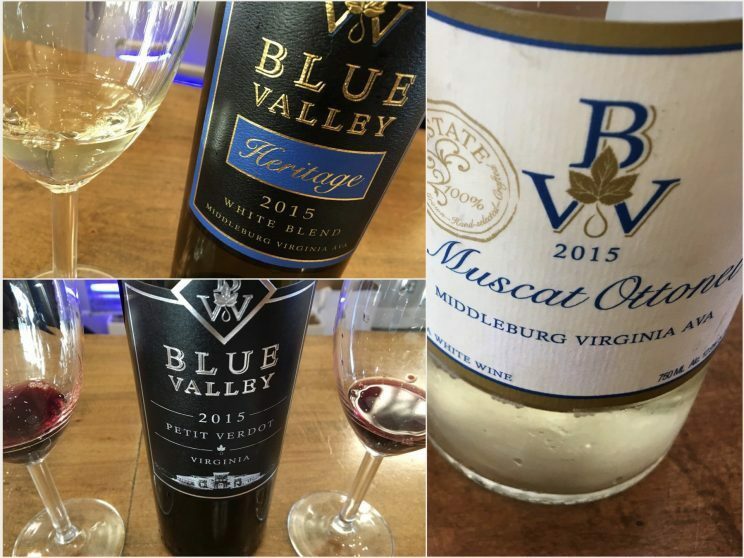 Blue Valley produces quite a variety of wine varietals including Viognier, Sauvignon Blanc, Chardonnay, Cabernet Franc, Cabernet Sauvignon, and Petit Verdot amongst others. I tasted a wide array of wines with a fantastic tasting room associate, Yvette. She was quite pleasant and really made the experience. Here are a few memorable wines I tried. The 2015 Muscat Ottonel, produced with estate fruit, was one of those geek selections for me (I remember learning about it studying for my CSW and WSET). Typically found in Alsace and Austria, I was quite surprised to encounter this wine in Virginia. Great aromatics with stone fruit and floral notes. 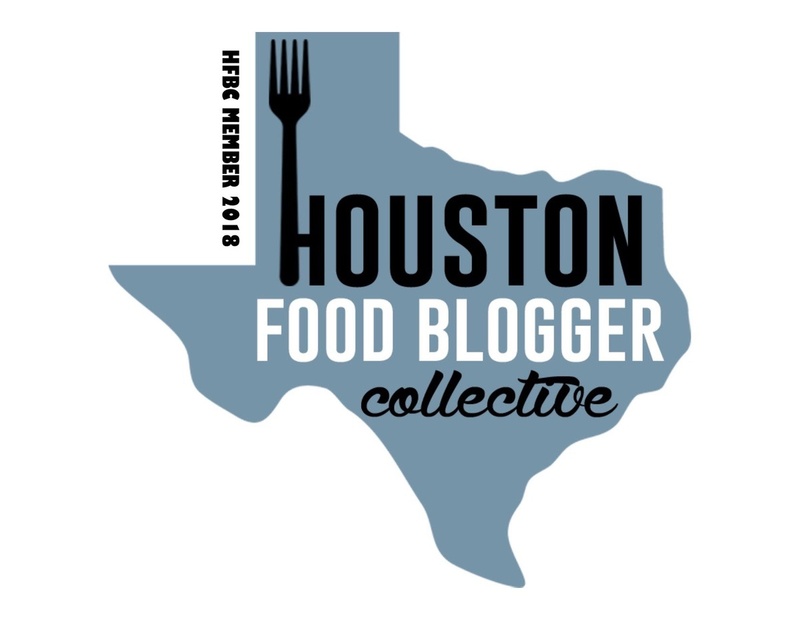 The 2015 Estate Heritage white blend crafted of 72% Chardonnay, 26% Sauvignon Blanc, and 2% Viognier, was nice, crisp, and kissed with just the right amount of oak. In fact, the Chard is aged in larger vessels to minimize oak influence which is fine by me. The 2015 Petit Verdot, because the folks in VA have convinced me and I think I bought every Petit Verdot I tasted, including this beauty. The Blue Valley Petit Verdot was like velvet with juicy dark berry fruit balanced by great acidity. Got myself a couple of these. There was so much that I liked about Fox Meadow. I loved that there are small bites to accompany the wines and bring out the best in them. That chutney is fabulous! I love that they are about educating the consumer. I love that they try to stay at 14% alcohol or below (there are folks out there seriously trying to kill me with scary alcohol levels!) when crafting their wines. I love that they once paired one of their wines with a Rice Krispie treat. They really get into wine and food pairing and even do a pairing with fudge that they call Fudgeapalooza. 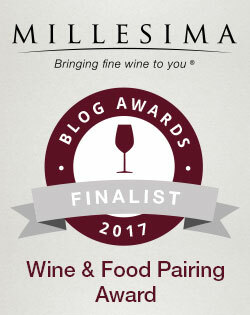 These are folks that craft good wine (and have the awards to show it) but find a way to make it appealing and approachable for all. And for me, this is what wine should be about. They had their first harvest in 2005 and made their first wine in 2006. They produce anywhere from 2,000 – 2,500 cases a year, the bulk of which is sold at the winery. 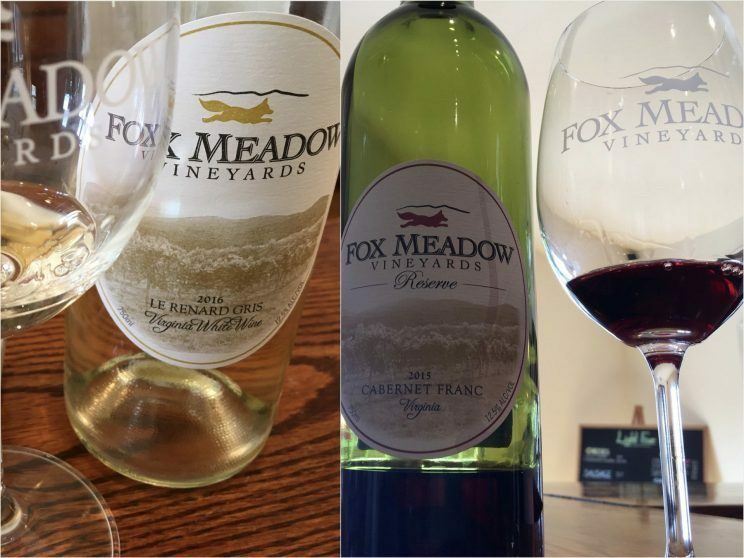 With a commitment to using and showcasing Virginia fruit, Fox Meadow wines are crafted of 60-70% estate fruit with the remainder coming from the rest of Virginia. 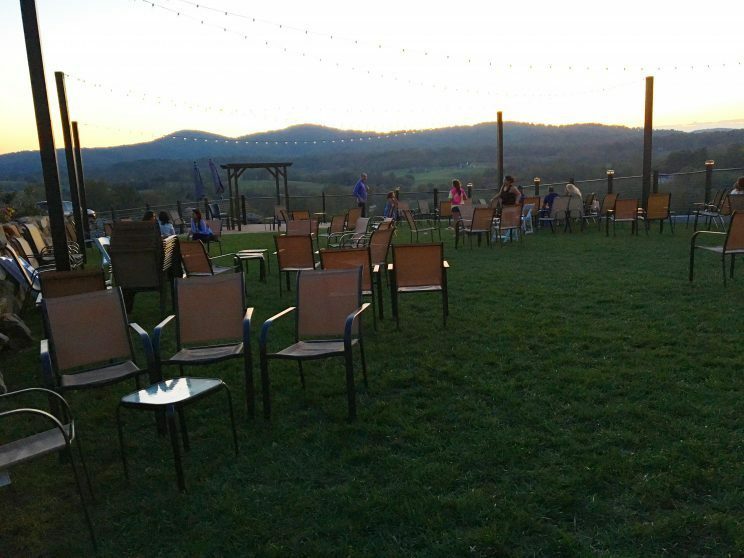 Located up in the Blue Ridge Mountains, you’ll be treated to absolutely magnificent views from the outdoor decks. Once you tear yourself away from the views, inside you’ll find a variety of wines in different styles to try. Here are a few that stood out. The 2016 Le Renard Gris is a white blend comprised of Vidal Blanc, Chardonnay, and Pinot Grigio. Seeing only stainless steel, it was crisp and slightly off-dry with tropical fruits and citrus. It was fantastic paired with a bite of tangy creamy cheese. I’m told it also pairs nicely with the aforementioned Rice Krispie treat. The 2015 Cabernet Franc was quite an elegant wine and well balanced with great acidity, integrated tannins, and ripe black fruit. Paired with a smoked cheddar cheese which was quite a treat. The 2014 Le Renard Rouge, comprised of Cabernet Sauvignon and Cabernet Franc, was my favorite wine and is Fox Meadow’s signature wine. Velvety tannins coat the tongue accompanied by lush blackberry, chocolate, and a bit of spice. A really nice wine all around. 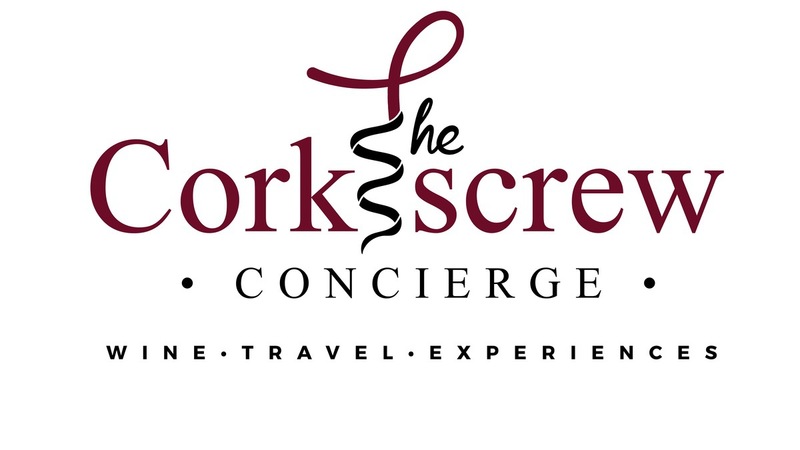 Their motto of “Great Wines, Great Views, and Great Times” certainly sums up the experience. 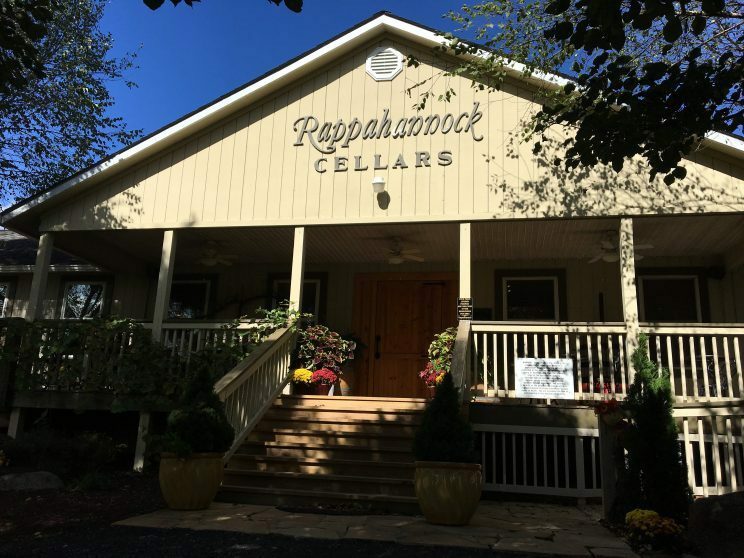 Having originally set up shop in San Jose, CA where they had a winery, the folks at Rappahannock decided over twenty years ago that Virginia was the place they wanted to be to raise their family as well as make wine. With a production of a little over 10,000 cases a year, they produce Chardonnay, Viognier, Cabernet Franc, and Cabernet Sauvignon amongst a few others. This was also one of the few places where I got to try my hand at sparkling wine. With a commitment to crafting great wine in the vineyard, they have not shied away from removing grapes and replanting with different varieties to get the best out of each micro-climate within the vineyard. Supplying about half of the needed fruit from their own production, the folks at Rappahannock have nurtured relationships with other growers in the state that share a similar commitment to quality. 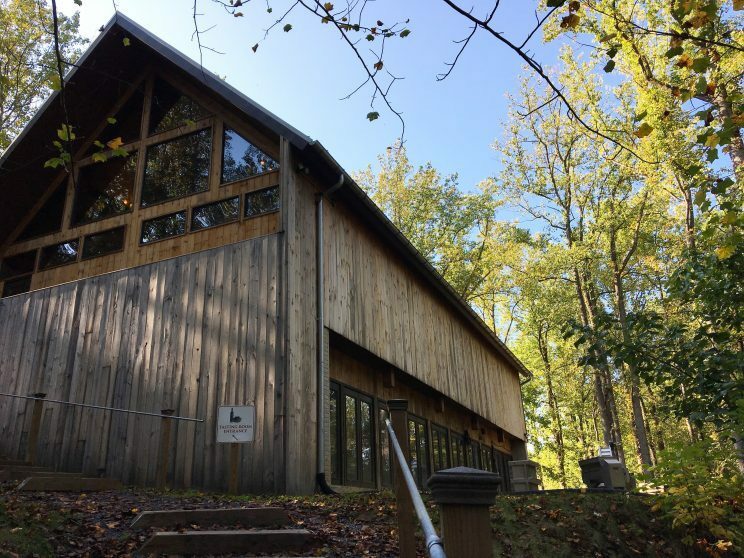 Rappahannock also has a newly opened distillery, Dida’s Distillery, where they craft brandy and vodka amongst other spirits. And the grounds (which seems to be the case everywhere I visited) invite you to hang out and enjoy a glass. In the tasting room, I found some of the friendliest and most engaging staff ready to tell the story of the winery and the wines. Tasting through eight different wines ranging from sparkling to dry and off-dry white to red to dessert, I found there was certainly something for everyone. 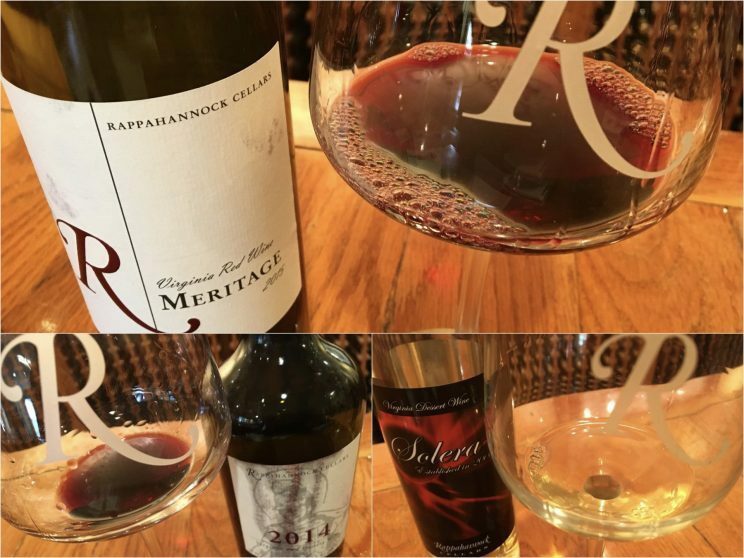 For the dry reds, the 2015 Meritage was definitely a standout. Crafted of 44% Cabernet Franc, 25% Cabernet Sauvignon, 17% Petit Verdot, and 14% Merlot, it’s considered their flagship wine and is crafted in an old-world Bordeaux style. 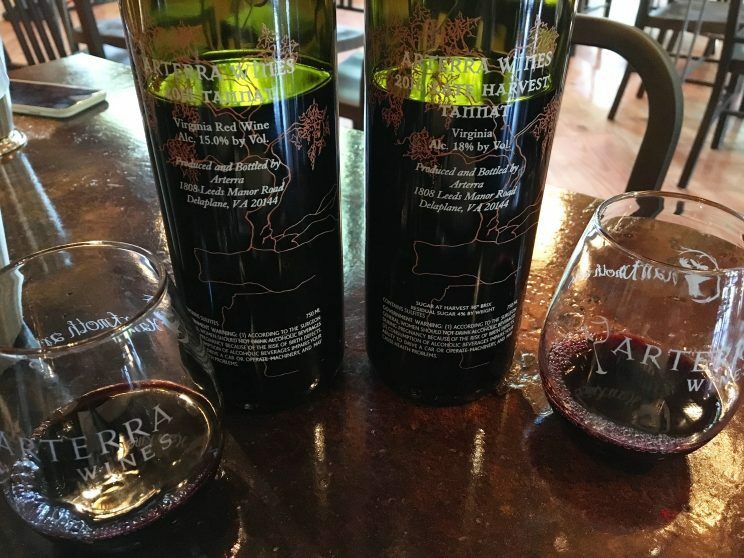 With fruit grown in some of the state’s famed greenstone soil, the wine is both bold and elegant with noticeable acidity balanced by lush dark fruit. While the Meritage was my favorite takeaway, I also very much enjoyed the dessert wine offerings. They had a 2014 Port-style dessert wine made with Norton grapes as well as multi-vintage Solera4 wine comprised of Vidal Blanc. The Rappahannock Solera was established in 2000 and the wine would serve nicely as an aperitif or as an after-dinner sip. They recommend pouring over vanilla ice cream or even substituting for bourbon in egg nog. Seems that the options are limitless. Located in Front Royal, this may have been the toughest to find of all the places I visited. But it’s worth it as I absolutely loved the entire portfolio of wines at Glen Manor. Not to mention the great views! The property boasts a lovely patio for enjoying a glass with a view of the vines literally growing on the face of the mountain. 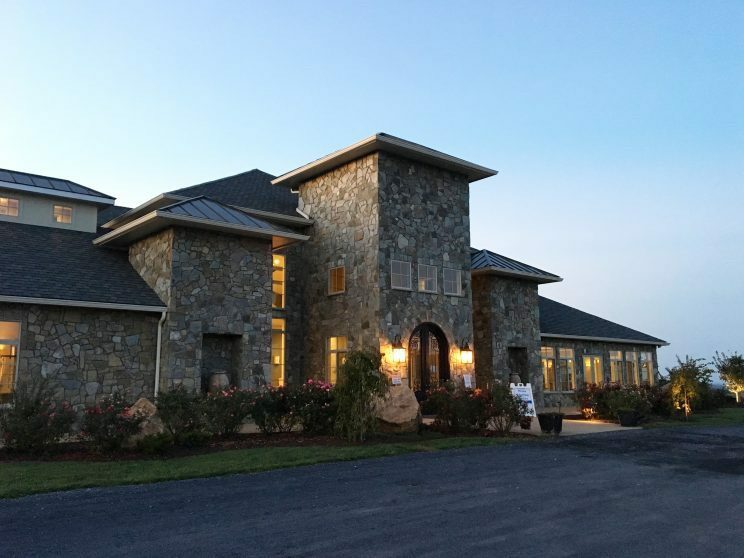 With vines planted at 1,000 feet and beyond in granite and greenstone soils and slopes up to 35 degrees, the fruit of Glen Manor is some of the best in the state. Due to the challenging growing conditions, Glen Manor practices extreme viticulture management all done by hand. Owner Jeff White aggressively manages yields, first by growing larger numbers of small cluster grapes, and then by cutting off half of the clusters during the growing season to concentrate the flavors of the remaining grapes. Canopy management is also of utmost importance as the area is prone to wet, humid conditions and the vineyard’s west-facing orientation which can also mean excessive sun exposure. And the most interesting tidbit? The fruit is harvested by taste alone. In the tasting room, it was an absolute joy tasting with Kelly White (co-owner and wife of Jeff White). She was so engaging and enthusiastic and provided a wonderful insight into the history and production processes of the winery. And she’s a former chef which allowed for great insight into the flavor profiles of the wines as well as pairing ideas. Right up my alley! All the wines are comprised of estate fruit and the quality is evident – it starts with that fantastic soil! I tasted eight wines including a Sauvignon Blanc, a Rose, and a dessert wine in addition to five red wines. Here are three of my most memorable tastes. The 2014 Vin Rouge which is crafted of 62% Cabernet Sauvignon, 16% Cabernet Franc, 12% Merlot, and 10% Petit Verdot. This is the winery’s least expensive red wine and its bright red fruit makes it a great pizza, pasta, burger wine. Intentionally made in a less-structured, simpler manner, this is a great everyday wine. But that doesn’t diminish its appeal in the least as 2014 was considered a great growing season. The 2013 St. Ruth, comprised of 50/50 Merlot and Cabernet Franc was quite a delight to this Right Bank leaning wino. Nicely structured with ripe fruit and spice. The 2014 Petit Verdot was my favorite wine in the entire portfolio. Smooth, balanced, complex – it had everything. Juicy dark fruit and nice acidity made for a wine that was a joy to taste. Like I said, I have an entirely new appreciation for Petit Verdot after visiting VA.
OK, so I also really liked the Cab Franc and the Hodder Hill (a Cab dominant Bordeaux style blend) and bought those too. Of course, as I’ve only scratched the surface of the VA wine industry, I will definitely have to go back. Even if it’s just to discover more VIrginia wineries near DC. And one common denominator I found (other than tasty wines) is that everyone has great views! Jason has a fantastic Finger Lakes Riesling that he is phasing out and which will be replaced with Virginia Chenin Blanc and Roussanne in the near future. I’ll admit that I’m a recent convert from the ABC (Anything But Chardonnay) club, but that had more to do with California that my friends in VA.
Actually I made another stop but they weren’t very nice and all the rehearsed info was spat out without any interest or engagement at all. You’re welcome. A Solera is essentially a way to age wines using fractional blending. Each year, wine from the current vintage is added to solera barrel comprised of wine from past vintages, which results in a wine of mixed vintages. This method of winemaking is used extensively in the production of Sherry and Port and allows winemakers to produce a consistent style of wine from year to year. Wow! Excellent article with thoughtful insight to the wines, terroir and winemaking. Thanks David. There is so much to discover there. Can’t wait to visit again!